That which is "Contained" is trapped, immobilized. With meditative stillness, that which is contained becomes less and less, until it evaporates. 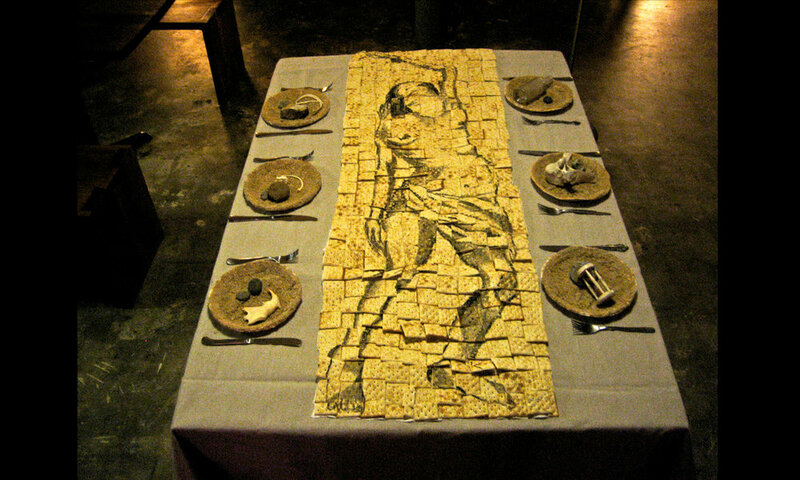 "The End of Food" is an installation in which the runner and the plates are made from Saltine Crackers. The earth has become a desert, dry and unable to support life. The importance of staying adaptable to sustainable practices are expressed in the piece without which we might find ourselves at the last supper.